Dare's business savvy comes from a wild and intuitive place. A truly maverick entrepreneur, Jennings doesn't know (or care!) if his ideas or business methodologies are right or wrong by conventional standards. He simply knows what he does and has the strength of character to back his own plays. Now in his 60's (and still backing himself), Dare is once again the head of an international counter-culture brand, Deus Ex Machina. Starting as an almost whimsically retro motorbike shop in Sydney's inner west, Deus has now spread throughout four continents with stores in Australia, the U.S., Indonesia and Italy. As a speaker, Dare is probably not the man you're looking for - if you want to maintain the status quo. If instead you want to redefine your industry, setting the trends for your peers to follow, then you can't afford not to listen to what Dare Jennings has to say. Dare's experience speaks for itself - for thirty years he's created his own trends. He's also successfully exported two uniquely Australian brands to the world without resorting to the typical trite cliches of kangaroos and koalas. He's direct; Dare won't hold back and will challenge the cultural norms of your business. You may remember a time before surfwear was big business. If you do, then you'll remember the brand that started it all. Mambo - iconic, brash, bold and colourful. It proved that surfwear could be more than just boardshorts and singlets and in doing so created an entire industry of fashion clothing. 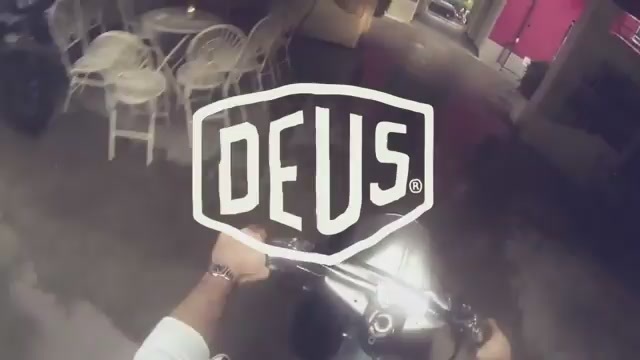 And now Dare Jennings, the man who started it all, has done it again with Deus Ex Machina, a rapidly expanding global motorcycle and surf brand. What happens when you start a humble clothing line and wind up an icon of Australian counter culture? Or when you decide to build retro motorbikes and discover that Italy has a deep and abiding passion for your product? The answer is simple: go global. Leveraging his insight into Australian culture, Dare Jennings has created two uniquely iconic Australian exports without resorting to cultural cliches: Mambo and Deus Ex Machina. When you visit Dare Jennings, you're not ushered into a sterile office to talk with a disconnected CEO. Instead you're transported into a world that feels a little like a Steve McQueen movie; this is the showroom floor at Deus Ex Machina in Sydney. Dare isn't a disconnected leader - he's on the frontlines of the culture war. The one where your brand goes global? or disappears forever. Dare knows his customers, knows who they are and who they perceive themselves to be. He has fine-tuned the atmosphere to appeal to the deep-rooted desires of the male psyche, and is well aware of the contention his products cause in many men's better halves! Not the speaker you want... if you want the status quo. Dare Jennings is now EXCLUSIVE to Ovations!